Cherubae is a character from the Teenage Mutant Ninja Turtles Adventures comics. She sent Bebop and Rocksteady to an Eden world, so they could not do more “bad things”. 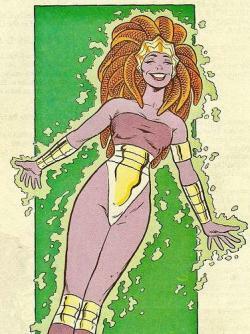 She would also join forces with the Turtles, and the Intergalactic Wrestling Federationagainst the Foot Clan and Maligna.